Clayton Murwin is working on two graphic novel projects: the first, Heavens’ Gate, is by novelist Jeffery Brown and the second is called The Spirits of All, by Erica J. Heflin. Mr. Murwin currently resides in Timberville, Virginia and holds a degree in computer graphics and design. He also works as a freelance artist in his spare time. His first published work in comics was for an independent publisher, Red-Zone comics, Mind Hunter Omega. Clayton is credited as the co-creator and developed all of the art, inks, lettering, coloring as well as some of the story editing. 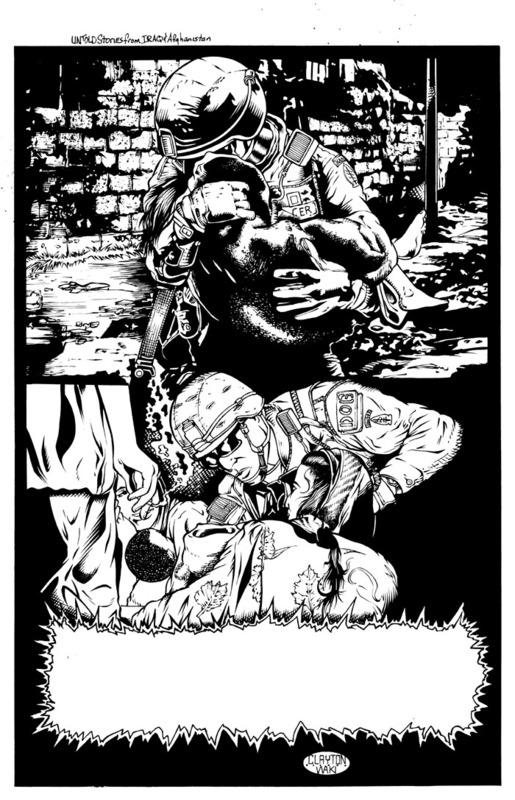 Clayton is currently working on Volume II of Untold Stories from Iraq & Afghanistan the Graphic Novel Series that his organization produces to support our Nations Troops. Mr. Murwin has also graciously accepted the position of sketch artist for the upcoming JME II publication.